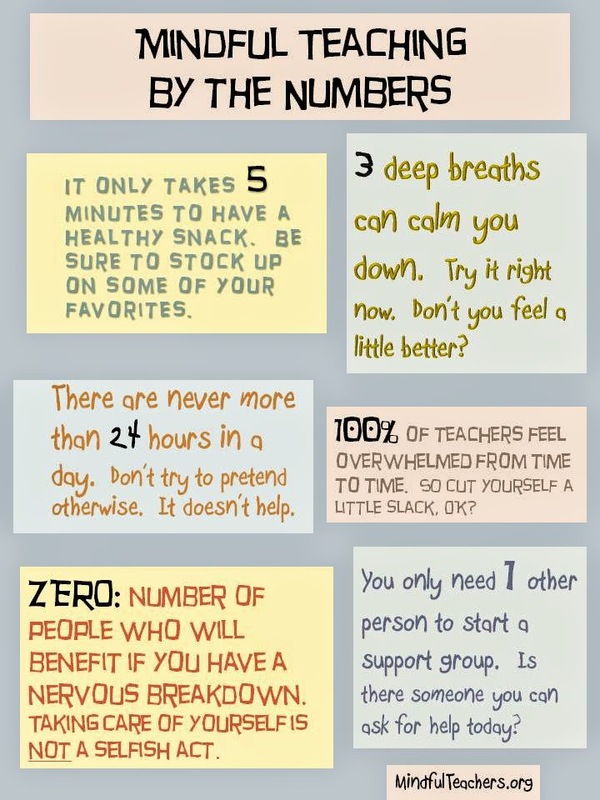 So here are a few important numbers to keep in mind as you "keep calm and carry on." Yes, as a matter of fact I did just make up that "data." So go ahead and take five deep breaths if you feel like it, or spend three minutes eating your snack. But I'll be surprised if you can find anyone who'll truly benefit if you have a nervous breakdown. And if you're a teacher who's never felt overwhelmed, or if you've figured out how to add extra hours to the day, please share your secrets!